Point Break as the best retail products surf, skate, street and fashion lifestyle in Indonesia under the auspices of PT ksatriya Isis start of January 2016, PT ksatriya Isis had stood since 2005, is a subsidiary of PT jarosite Indonesia which stood from 1994, the growing company advancing the surf retail Industrie in Indonesia and expand one of the major surf brand. Point Break Online Store as SURF ON LINE STORE FIRST in Indonesia was developed with the aim to reach out to target markets outside of the retail network that is at the same time provide more services for all loyal customers and potential customers that until now could not be reached by surf retailers in Indonesia. With the development of technology very rapidly now, we offer the system on line store that is easily understood and supported by a customer service that is ready to provide all information required in determining the selection of the desired product. 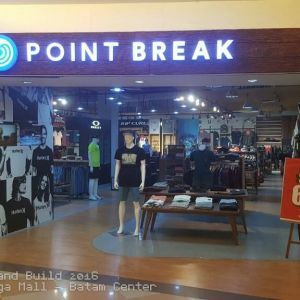 On line store Point Break is supported by official berlicensi products and companies in charge of the distribution of these brands in Indonesia.